Enjoy and evening of Good Food & quality entertainment as the sounds of Frank Sinatra, Dean Martin & Bobby Darin are expertly re-created with uncanny accuracy by, “Frankie Sands”, one of the top Frank Sinatra Tribute Artists on the East Coast. 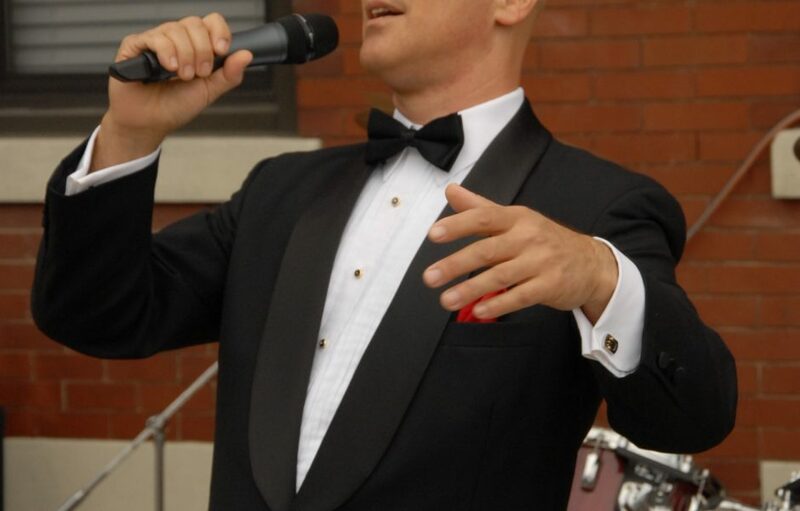 Frankie Sands will bring his Tribute to Frank Sinatra, Dean Martin, and Bobby Darin back to San Martino Ristorante this August. Critics consider Sands to be one of the best Sinatra acts in the Northeast. “You’ll close your eyes and swear it’s Old Blue Eyes himself, or at least a recording.” That’s until Frankie interacts with you when you least expect it. Come enjoy your summer evening on Friday August 26th in Yonkers, NY. This Frank Sinatra Tribute concert does not require a cover charge. This show is brought to you by San Martino Restaurant, who hosts performances every weekend. Beyond singing, Frank is an accomplished Drummer and has lead and continues to lead, his own band. He is a well rounded, multi talented performer, who lends a touch of class and elegance to any event at which he appears. His performances are not to be missed and are remembered and talked about by those who have seen them long after the curtain comes down. If you are planning an event that you want to be both special and memorable for you and your guests, contact Frankie Sands. You won’t be disappointed.